Is that green beverage safe to drink? 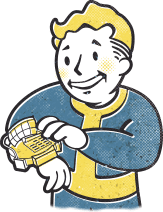 Celebrate St. Patrick’s in style with this festive Vault Boy, just don’t forget your Radaway! ITEM WILL BE READY TO SHIP MARCH 2019.